1 Recent Developments (Ravi Fotedar, Gopal Krishna, Uras Tantulo, Iain Mcgregor and Bruce Phillips). 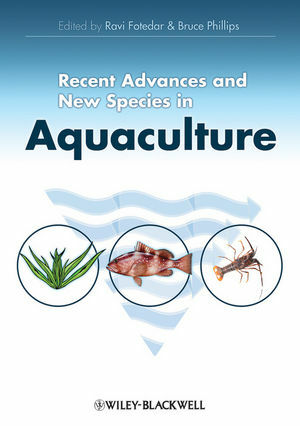 1.2 Disease resistance in aquaculture systems vis-à-vis breeding strategy. 1.3 Freshwater ornamental aquaculture – an industry view from Western Australia. 1.4 Use of immunostimulants as feed additives. 1.5 Alternative sites for aquaculture. 2 A Global Review of Spiny Lobster Aquaculture (Bruce Phillips and Hirokazi Matsuda). 2.4 Raising wild-caught pueruli and juveniles. 3 Slipper Lobsters (Manambrakat Vijayakumaran and Edakkepravan V. Radhakrishnan). 3.5 Slipper lobster culture initiatives. 3.6 Hatchery production of seeds. 3.7 Factors influencing phyllosoma growth and survival. 3.8 Hatching and larval rearing in Thenus sp. 3.9 Growth of juvenile slipper lobsters. 3.10 Culture of Thenus sp. 4 Mud Crab Aquaculture (Brian D. Paterson and David L. Mann). 4.3 Biology and life cycle. 5 Penaeid Prawns (Ngo Van Hai, Ravi Fotedar and Nguyen Van Hao). 6 Cobia Culture (Ravi Fotedar and Huynh Minh Sang). 6.5 Nutritional requirement of cobia. 6.8 Disease and health management. 7 Barramundi Aquaculture (Suresh Job). 8 Abalone Culture (Mark Allsopp, Fabiola Lafarga-De la Cruz, Roberto Flores-Aguilar and Ellie Watts). 9 Seaweed Culture with Special Reference to Latin America (Julieta Muñoz, Vivek Kumar and Ravi Fotedar). 9.6 Cultivation in Latin America. 10 Marine Ornamental Fish Culture (Suresh Job). 11 Tilapia (Luan Dinh Tran, Trung Van Dinh, Thoa Phu Ngo and Ravi Fotedar). 11.4 Harvesting and value added products. 11.5 Genetic improvement of tilapia. 11.6 Environment and disease management. 12 Carp Polyculture in India (Dilip Kumar). 12.2 Freshwater aquaculture resources in India. 12.6 Developments in culture practices. 12.7 Culture of pangasius (Pangasianodon hypophthalmus). 13 Future Directions (Bruce Phillips, Ravi Fotedar, Jane Fewtrell and Simon Longbottom). 13.2 Developments in managing the environmental impacts of aquaculture.